In the dark of night, an elusive figure breaks in to the royal menagerie and steals four magic animals, your childhood companions and dearest friends. It is up to you to save them! Take the journey to discover more about the Dark Minotaur who threatens the magical world. Can you save them in time? 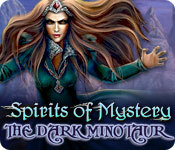 Spirits of Mystery: The Dark Minotaur is rated 4.2 out of 5 by 71. Rated 5 out of 5 by un1cornr0se from Another cracking title in this series! After playing SOM: Song of the phoenix I was dubious this could be just as good. I would say this game was on par. It starts out fairly simple, but as the game moves on the puzzles become more complex. The graphics were good, the music was great, and I loved the concept of collecting the different elemental animals - though I would have liked for them to be used a little more during the game. The only thing I would say is that about the 2/3 way mark in the game you suddenly encounter a LOT of HOS. Which is fine, but I prefer my HOS more spread out. Overall this game was fun, clever and something different. Would definitely play again! Rated 5 out of 5 by rpggramma from Good fun game! Fun, fun game! Loved the puzzles, they were great, different and lots of them! Not gory, clean game for a change. Entertaining fun, clean graphics, good cut scenes. Enjoyed this one! Rated 5 out of 5 by Titania from Enchanting What a lovely little game, I thoroughly enjoyed playing this game, the graphics are excellent, storyline and music very good. 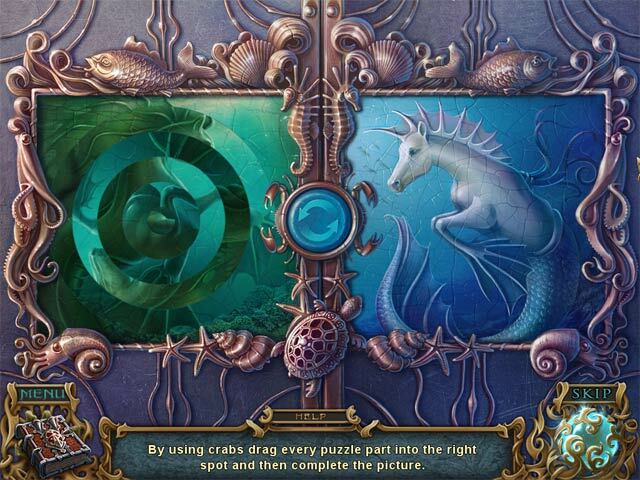 The puzzles are not terribly difficult but certainly not boring. The hidden objects scenes are quite interesting. All in all this is a wonderfully mystical game and I would recommend this game to anyone. loved it!! Rated 5 out of 5 by bsnbsn from Buy it -- offers a lot for the price. I totally enjoyed this game and wanted a little more--maybe the CE version has that extra game play but I do recomment this version of the game a buy, buy, buy. 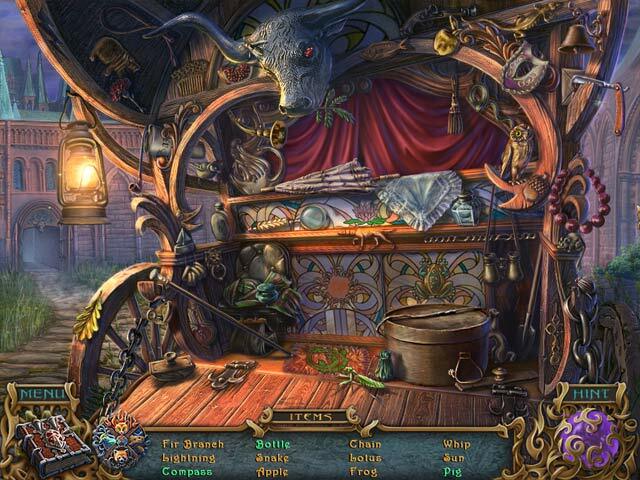 It has puzzles in the hidden object games and the HO are different too. The best feature is that you are not running around and around in circles---there is some logic which you can apply. Some of the HOs are hard to find but makes no difference because the hint is pretty good. I play games and delete them from my data base but this one I really do want to play again because of the great grafics. Rated 5 out of 5 by ThisBrevity from Couldn't put this one down! Wow, I have to say, this one really took me by surprise. The reviews were good, but not great, and although I had briefly considered it in the past, it was only a Daily Deal that made me ultimately buy it. But this was actually spectacular! QUICK TIP FOR MORE EXPERT PLAYERS: I often like to play these on the hardest difficulty possible (as long as I have the option to switch back, ideally, haha) BUT in this case I tried going back and forth between the middle and hardest difficulties to see if I was missing much by not having the black bar tips in terms of interesting commentary. As it turns out, I was – there were multiple amusing/sarcastic lines that added to my enjoyment once I realized early on that it was worth it to keep the “tips” on, even if I didn’t want the “tip” part of it. Thus, I recommend the middle level of difficulty because the occasionally funny commentary is worth it. THE GOOD (for me): -Extremely interactive in terms of the storyline. You really feel immersed in the story. I had read some people say that, but it is true for this game more than most I’ve played. And as mentioned, the commentary was generally a lot better than average, and some of the “solutions” themselves in the gameplay were amusing, too. I had a blast. -Lots of puzzles, most of them pretty good! Some of them were medium to hard, which I liked. I pretty much never skip puzzles, and there was one that I struggled with for wayyy longer than I’d like to admit, haha (mainly because that specific puzzle type is harder for my non-linear brain to fathom, apparently, not because it was not-doable.) -The animals. Not too cutesy or anything, but I do love animals and they added some fun to it; I still would’ve given this game 5 stars without them, though, just an FYI. Although, I would’ve liked to know what happened to that one furry sidekick that was working for the other side… maybe that was in the CE, which I now wish I had gotten. And I don’t usually feel that way! THE BAD (for me): -Too many HOS, and the List ones were a bit too tough for my taste. Normally I don’t like very many HOS – and there are certainly games out there with a lot more than this one had – but I wanted to mention this for others in case they really hate HOS rather than not be a big fan of them in anything other than smallish quantities, like me. The fact that I still really enjoyed this game and am giving it 5 stars despite this is saying something. - There were a couple of glitches, one of which required that I skip a puzzle. The other minor glitches/errors did not affect gameplay. COMPARISONS: I hesitated to buy this partly because the reviews compared it to the Awakening series a couple of times, which put me off. Yes, throw stones if you must, but I have to admit that I’m not really a fan of the first couple in the Awakening series (which are the only ones I’ve pushed myself to complete thus far of the 4 that I bought at once during a bundle sale without trying them…*slaps forehead*) To me, this was VERY different than the first 2.5 of the Awakening series because there was more drive to the story. I felt an urgency to continue in Dark Minotaur, in a really good way. It was exciting, like a real adventure. It was bit dark without being too dark, yet full of magic and beauty. My point of all this is that, despite it having more HOS than Awakening, I liked this light-years better because of the storyline and level of challenge (which was higher than the first 2.5 Awakenings), as well as the music, and quirky comments, and music…etc.etc. That’s just me. BOTTOM LINE: You will probably like this if you’re similar to me in prioritizing the adventure aspect and a good storyline, with beautiful graphics too, of course. Even if you have a bit of an aversion to HOS, I think you’ll like this. Rated 5 out of 5 by tutortime from Loved it! Really enjoyed this game. Great story line, graphics and nice length to the game. Rated 5 out of 5 by gungho from EXCELLENT Graphics are awesome Puzzles and mini games were good and not too hard. I love the hops in this game. When I started playing I just couldn't stop. Anyone that doesn't enjoy this game doesn't know what they're missing. The story line was excellent also. Rated 5 out of 5 by terricT from Lovely game I loved exploring different scenes in this game. Beautiful, intricate artwork and relaxing ambient sounds make exploration an enjoyable experience. I can take the time and appreciate all the elaborate construction. 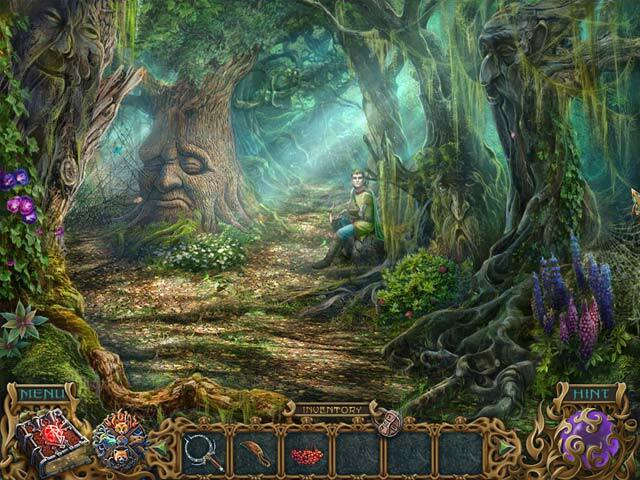 The puzzles are innovative, not the standard hidden object fare. Some are like mini storybooks.